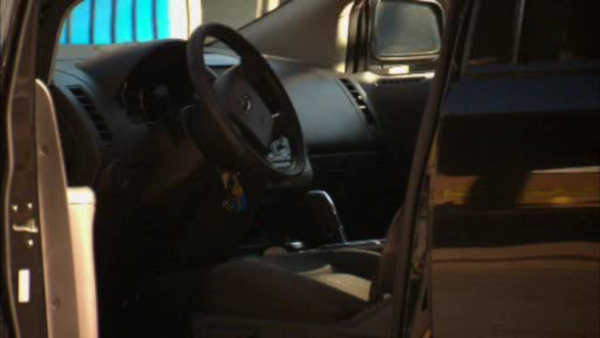 NEW SPRINGVILLE, Staten Island (WABC) -- Police have charged a man in connection with stealing a car with a baby in the back seat over the weekend. Kenneth Byrnes, 46, of Toms River, N.J., is charged with grand larceny, unlawful imprisonment and endangering the welfare of a child. According to the New York City Police Department, around 10 a.m. Saturday, Byrnes hopped off a bicycle and stole a running black 2008 Ford Edge, with a 3-month-old baby inside from a Staten Island Dunkin' Donuts parking lot. The mother of the child had been inside the store on Richmond Hill Road near Richmond Avenue when the car was stolen, police said. It was spotted crossing the Verrazano-Narrows Bridge at about 10:30 a.m., then abandoned by the suspect near the corner of 54th Street and Third Avenue in Sunset Park, Brooklyn. The baby was examined at Lutheran Hospital in Brooklyn, according to hospital staff. Byrnes has 29 prior arrests, including grand larceny, robbery and burglary. His most recent arrest was for a burglary in October.